Media mogul Rupert Murdoch's vast empire encompasses everything from newspapers to television networks to tabloids. The year started well and has only improved for Rupert Murdoch, the media magnate atop the twin corporate holdings of News Corp. and 21st Century Fox. With caustic commentary on Twitter, Murdoch helped make the case that former GOP presidential nominee Mitt Romney should depart the hustings. Through his tabloids, he has argued for a new agenda for the struggling conservative governments his publications had championed in Australia and the U.K. In all three instances, the octogenarian corporate chief demonstrated his relevance and asperity. Now, Murdoch can breathe a large sigh of relief at the dissipation of a major legal threat hanging over his corporate empire. In a filing with federal securities regulators, his companies have disclosed that the U.S. Justice Department has decided not to prosecute them for possible violations of U.S. federal law. The federal investigation stemmed from the phone hacking scandal that consumed his British tabloids. The British scandal erupted in July 2011 after disclosures that his tabloids hacked into the cellphone voice mail messages of celebrities, politicians, crime victims and war dead. Under the U.S. Foreign Corrupt Practices Act, however, the bribes his journalists were said to have paid to public officials for confidential information could have triggered federal prosecution. In the wake of the outcry, Murdoch changed the leadership of all his holdings in the U.K., closed down his top-selling Sunday tabloid News of the World, handed over evidence to British authorities implicating lesser employees in wrongdoing, and split his global holdings in two. His combined holdings have if anything appreciated in value, his son James remains at 21st Century Fox, and he has brought his older son Lachlan back in the fold in a senior position over both 21st Century Fox and News Corp. Some setbacks have accompanied the bright spots. Brooks' acquittal made it harder to prove a corporate culture of bribery, however, and federal prosecutors were impressed by the seriousness with which British prosecutors pursued charges in their country, according to lawyers with knowledge of the case. "21st Century Fox and News Corp. have been notified by the United States Department of Justice that it has completed its investigation of voice mail interception and payments to public officials in London, and is declining to prosecute either company," Gerson Zweifach, the chief general counsel for both corporations, wrote in a statement. "We are grateful that this matter has been concluded and acknowledge the fairness and professionalism of the Department of Justice throughout this investigation." A prosecution could have complicated the ability of 21st Century Fox to maintain control of the 28 television stations to which the company holds licenses across the country. Now that peril has vanished. And the prospect of a once-likely congressional investigation appears remote; former Senate Commerce Committee chairman John D. Rockefeller, a West Virginia Democrat who was a Murdoch critic, has retired, and the Republican takeover of the Senate makes it far more hospitable terrain to the Murdochs. Through absence of any mention of a fine, the statement appears to convey that the government has also not sought to mete out any civil penalties; though the amounts of the bribes alleged in the U.K. were relatively small, under U.S. law the size of the illegal payments does not matter; only the fact of the bribes is material. The ugliness of the hacking and bribery at the tabloids will always remain part of News Corp. history and the Murdoch family's legacy. 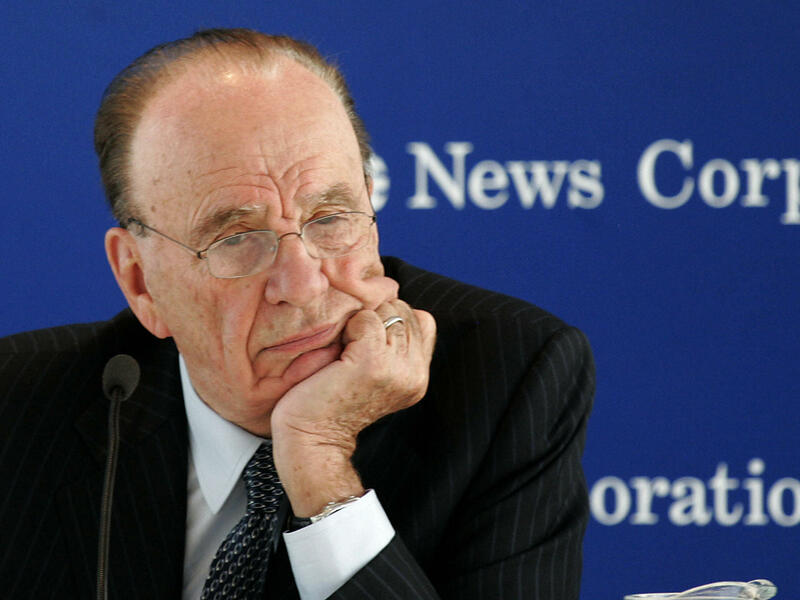 But with the removal of the threat of possible prosecution by the U.S. Justice Department, Rupert Murdoch can watch the scandal recede in his rear-view mirror, assuming he cares to look at all. David Folkenflik is author of the 2013 book Murdoch's World: Last of the Old Media Empires.